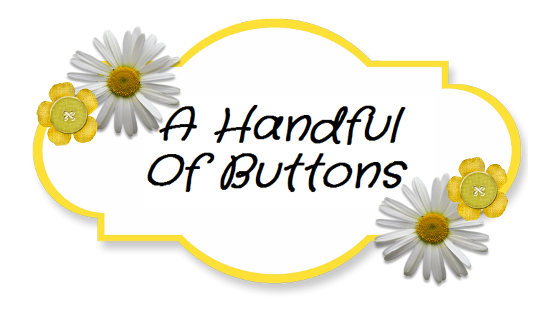 A Handful Of Buttons: How to Sew Bunting. I wanted to make some bunting for a classroom book corner but it can be rather expensive to buy. I had plenty of scraps of fabric left over from projects, old clothes and that my family kindly donated. 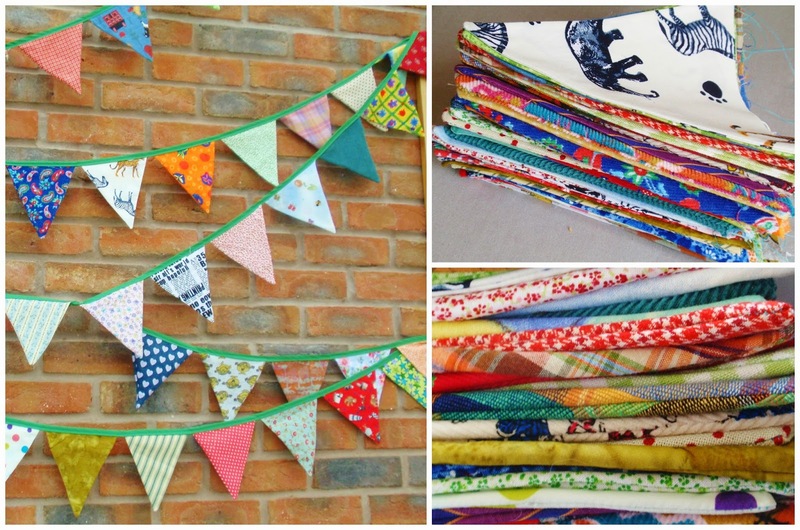 I wanted each piece of bunting to be individual creating a bubbly and bold appearance. However, for a more coordinated look, you could select a colour theme or use alternating fabric. There are lots of ideas online. 1. 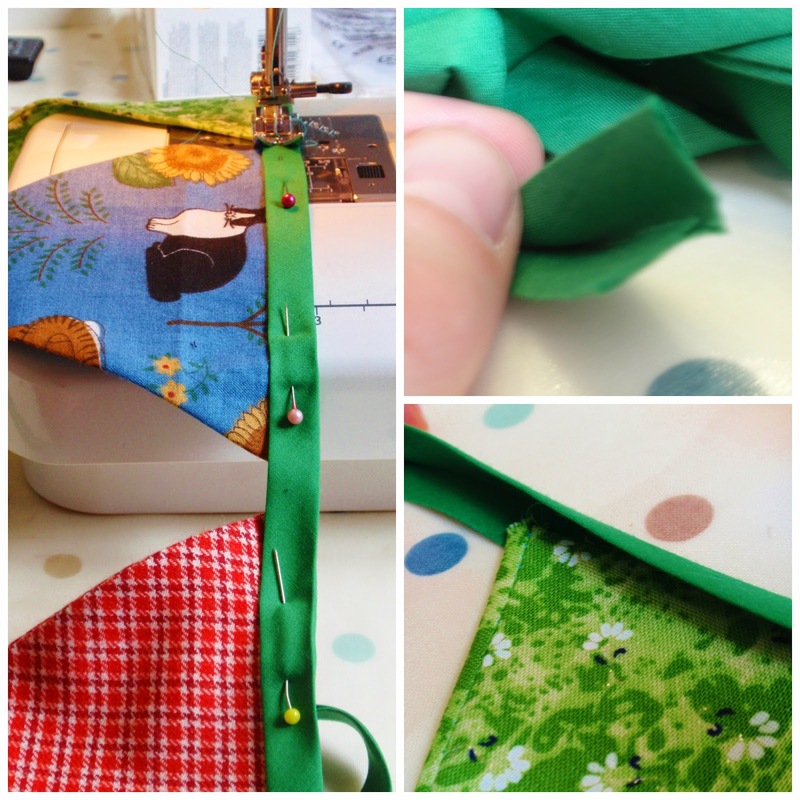 Cut out your bunting triangles, you will need two triangles per piece of fabric. The picture aside shows the approx measurements I used as a template. 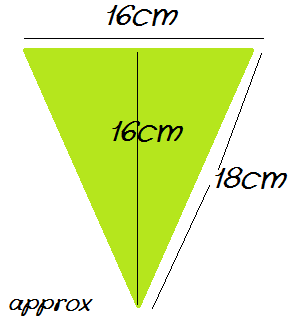 This made fairly small bunting triangles so you may like to enlarge this as appropriate. 3. Machine stitch along the two longest edges of each triangle to form your bunting pieces. 4. Trim the 3 corners of the triangles and turn out. I used the end of my scissors to push out the corner of the triangles. 4. Iron your bunting pieces flat. This is a good time to check that you have properly pushed out the corners and sides properly. 5. Iron your bias binding neatly in half. I went for a bright green colour but again you may want a more subtle look to coordinate with your colour scheme.